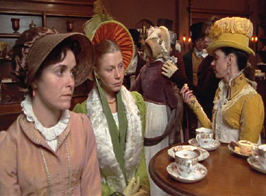 Screenplay by Nick Dear, based on Jane Austin’s novel. 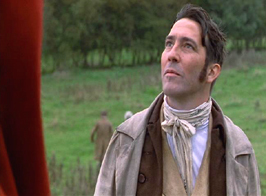 It so happens that Lady Croft is the sister of Captain Frederick Wentworth (Ciaran Hinds), the very man that Anne, under the advisement of Lady Russell, had turned down a marriage proposal 8 years ago, because Wentworth had no fortune or connections. 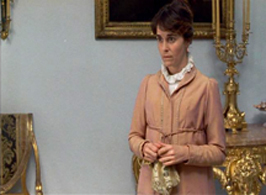 The renting of their estate mansion to the Crofts intensifies Ann’s feelings of regret, as she still loves him. 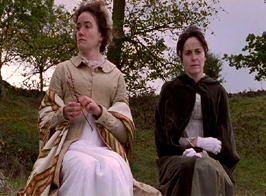 So, when her family moves to Bath, she goes to visit her hypochondriac sister, Mary (Sophie Thompson), who had married into the Musgrove family. 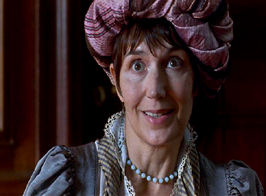 Mary is somewhat of a pain in the neck to live with, being a rather self-centered but good-hearted person, who has trouble dealing with everyday problems of family life. Needless to say, the whole Musgrove family is extremely pleased with Ann’s visit. 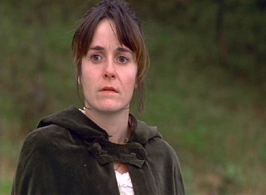 Besides being a kind, giving person, she has the ability to snap Mary out of her “spells” and is a wonderful listener to them as well, as they confide the problems that they have with Mary. 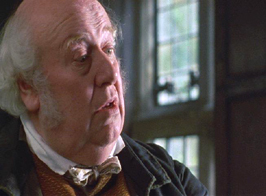 Captain Frederick Wentworth comes down to visit and meet the Musgrove family, and to go hunting with Charles Musgrove (Simon Russell Beale) who is married to Mary. 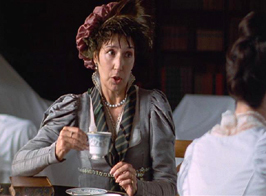 While Ann is slightly hopeful, Wentworth is only coldly civil to her. 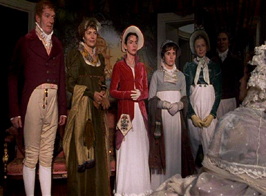 He starts to court one of Charles Musgrove’s young sisters, Louisa (Emma Roberts). 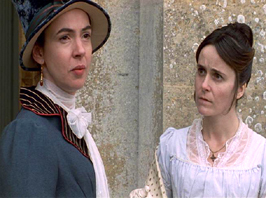 Things seem hopeless for love-sick Ann, until Captain Wentworth learns incidentally from Louisa that Ann had been proposed to by their brother Charles before he had wound up marrying Mary, but was rejected by Ann because of the meddling advice of well-meaning Lady Russell, who had stepped into the mothering role when the mother of the Elliot girls had died in Bath many years ago. 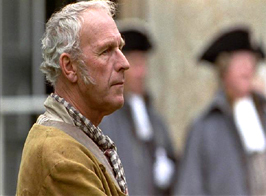 The story moves to the coastal town of Lime, where Charles, his sisters, Ann, Mary and Captain Wentworth go to visit Wentworth’s old Navy buddies. 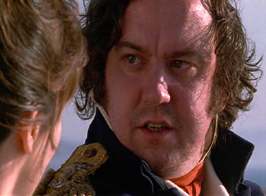 One Captain Harvile (Robert Glenvile) is married with a child, and the other is the heart-broken Captain Benwick (Richard McCabe) who had returned to find that his true love, Phoebe had died while he was away. 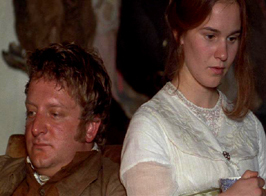 Ann’s good sense and persuasive ways further fans the old sparks of love still lingering in Captain Wentworth’s heart as he sees how she helps the sorrowful Captain Benwick and then observes Ann in an emergency situation. 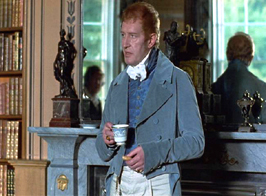 However, Captain Wentworth is tongue-tied and faint hearted about expressing his feelings to Ann, having been rejected by her once before. 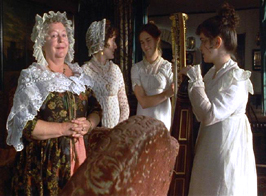 Ann returns to Bath to her confinement with her snobby family, who are enthralled with upper-class society. 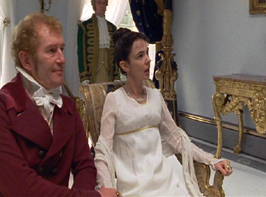 Suddenly, Ann finds herself with another suitor, a handsome, witty, assumed wealthy cousin by the name of Mr. Elliot (Samuel West). 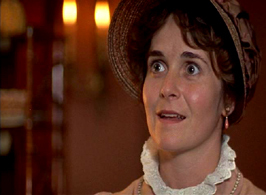 All, including Lady Russell, advise Ann to marry him. 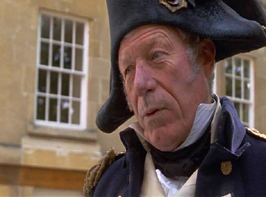 However, the tongue-tied Captain Wentworth appears in Bath as well, and not only seeks Ann out, but seems to be jealous of Mr. Elliot’s solicitous attentions to Ann. The audience at this point wonders how and if these two will ever get together. Will Ann have the courage to go against advice and follow her instincts and personal knowledge, when and if Captain Wentworth can find away to approach her? 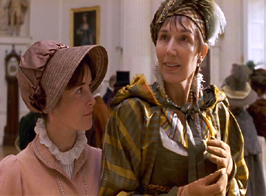 This wonderful adaptation of Jane Austin’s novel, was written by the talented Nick Dear, who has written other entertaining English period pieces, such as “The Turning of the Screw,” and “Cinderella” (2001 – TV). 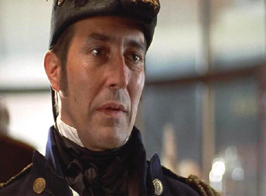 Ciaran Hinds does an outstanding portrayal of Captain Wentworth, as it slowly dawns on him that he never really stopped loving Ann, despite his ill-feelings about her rejection of him so many years ago. 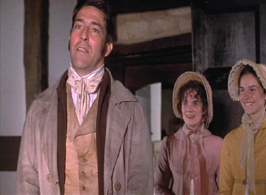 When the truth about his feelings for Ann finally are fully realized, he finds himself to be a verbal fumble foot, and not able to communicate verbally his feelings. So, he finds another way to communicate with her out of necessity, before she considers the smooth Mr. Elliot’s proposal. 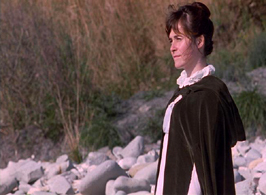 My favorite sequence of scenes between Mary and Ann happen when Ann first gets to the Musgroves. 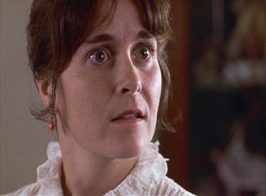 As Ann climbs off the crude farm cart, one see Mary peeking out the window, and quickly hops back into bed when Ann sees her. 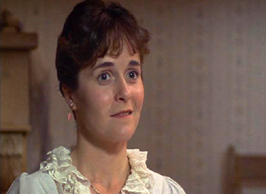 Despite her giving her long list of complaints, within 15 minutes of Ann’s coming, Mary is out of bed, eating a snack, as she continues in confiding in Ann of all her troubles with the Musgrove family and her husband, Charles. This film is rated P.G. for mild language. (I guess even well-bred British Naval officers say salty words, that I didn’t pick up). Most children would find this movie a little long, and a bit slow because of the lack of action. It was a slower paced life. Others will claim that this is a screaming chick flick. But, those who love romantic movies that explore the nature of relationships will adore this movie, as a romantic classic to warm your heart and your date’s heart as well. 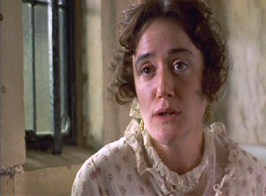 If you enjoyed PERSUASION, you may like EMMA, CLUELESS, SENSE AND SENSIBILITY, MANSFIELD PARK, SLEEPLESS IN SEATTLE, and/or YOU’VE GOT MAIL.